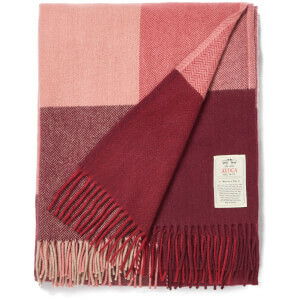 The Avoca Cashmere Blend Milan Throw in earthy tones of heather and forest green, is crafted from a luxurious blend of cashmere and pure new wool. 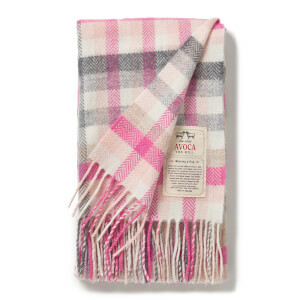 Woven in Ireland, the super soft throw is lightweight yet sumptuously warm and will add a welcoming layer to a bed or sofa and can be used as a soft and snug picnic blanket. 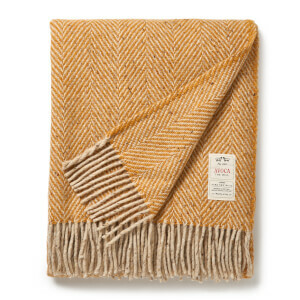 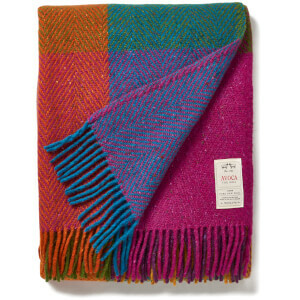 With a subtle herringbone weave and quadrant design, the ‘Milan’ throw is finished with a fringed edging.